Pat pork chops dry with a paper towel and sprinkle evenly with green onion seasoning, garlic salt, pepper and 5 spice powder on both sides. 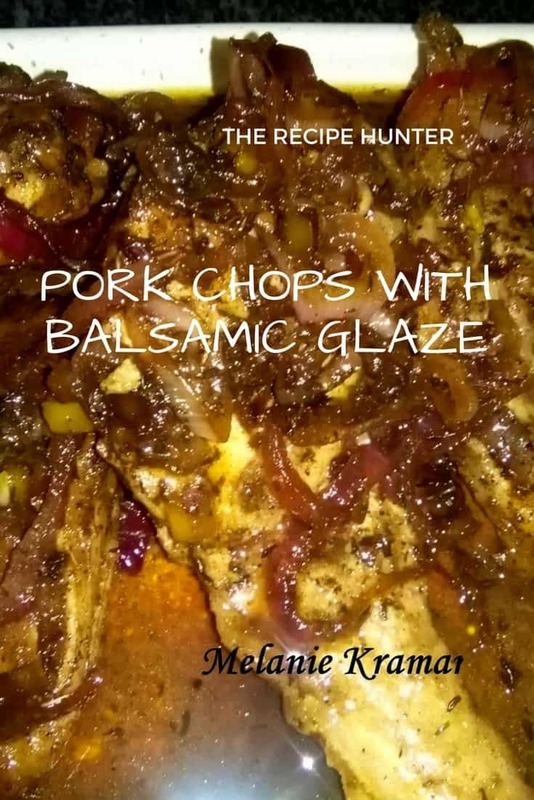 In a large skillet, melt 1½ tablespoons of butter and brown pork chops; remove from skillet and keep warm. In the same skillet, melt 1 tablespoon butter and saute onions until tender. Stir in vinegar, brown sugar and thyme. Bring to a boil and cook until liquid is reduced to half. Add the pork chops back to the skillet and cook for an additional 3-4 minutes, turning once halfway through. Once the internal temperature has reached 145 degrees, remove from skillet and allow to stand for about five minutes before serving. Top with leftover onion and balsamic glaze left in the skillet. You can serve with whatever you like.